I stuck my nose out into the fog at Marina del Rey to see if the NOAA water vapor loop was accurate. It showed dry clear weather, but my eyes saw a whiteout. Upon inquiry at NOAA I was informed that the loop only measures cloud cover 16,000 miles up – great if I were going to be flying. To my delight, it was clear just outside of the marina. A bubble of sunshine escorted me to Redondo Beach, around the Chevron tanker and tugs. Once inside the breakwater the fog closed in again and didn’t clear up for two days. 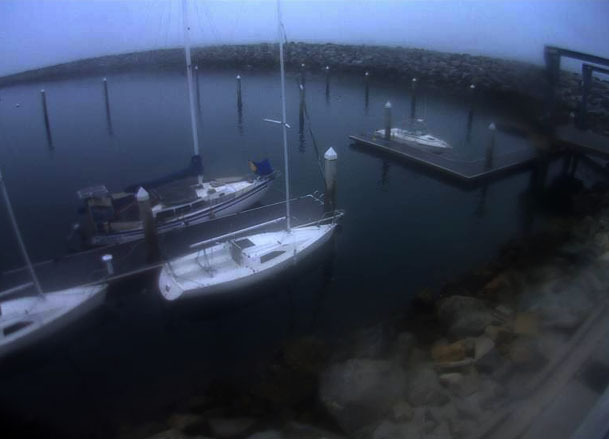 Here is the King Harbor YC web cam view. An excellent dog park within biking distance was the main attraction. As I was leaving the yacht club was installing their docks back in for the season on those empty piling posts above. My next stop was Hurricane Gulch YC in San Pedro. HGYC is a paper club that still manages to accommodate traveling cruisers through an arrangement with Cabrillo Marina. They have possibly the most active cruising schedule I’ve seen, with 11 trips planned during the year. As a group they have decided that the camaraderie of trips is more important than having an expensive clubhouse to maintain. I was treated to an excellent tour of town, a tall ship, and the mammal rescue center. Thanks Jeff, Chuck and Barbara! Cabrillo Beach YC was right around the corner and much closer to the dangerously fun Kelly’s boat consignment store where I picked up the coveted Bruce anchor I’ve been hunting for. The marina is a great place to walk the dog, with a nice grassy greenbelt area nearby, but the offleash dog park under the bridge is a bit bleak. It turns out the Long Beach harbor from San Pedro to Alamitos Bay is similar in size (end to end) to the Bay Area from Richmond Bridge to Bay Bridge, with about the same amount of traffic. 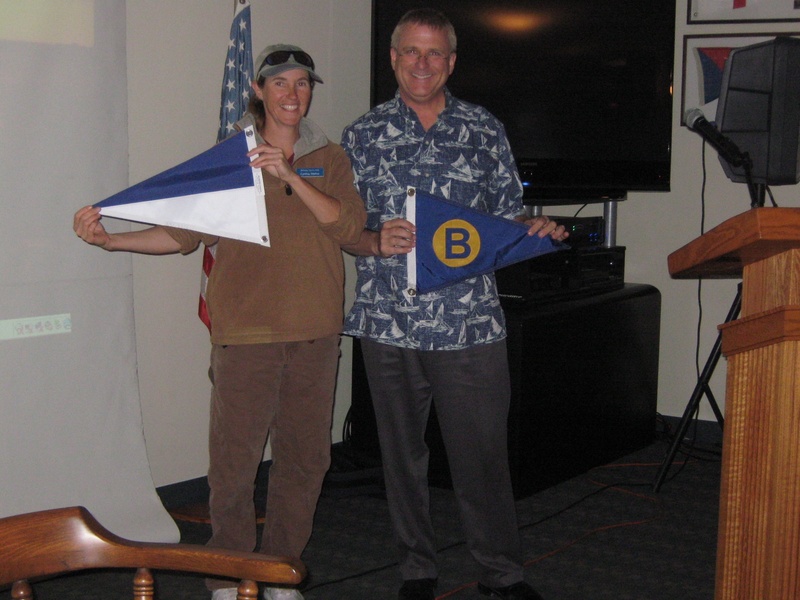 The Alamitos Bay YC hosted me for three days and we did a burgee swap at their monthly membership meeting. Dogs are not allowed on the beach except at Rosie’s Dog Beach, a bit of a walk up the Ocean Park walkway, on the way to the Arco that sells gas $1 cheaper/gal. than at the marine fuel dock. This entry was posted on Sunday, March 24th, 2013 at 2:36 pm and is filed under Cruising Life, Dogs and Trips. You can feed this entry. You can leave a response, or trackback from your own site.